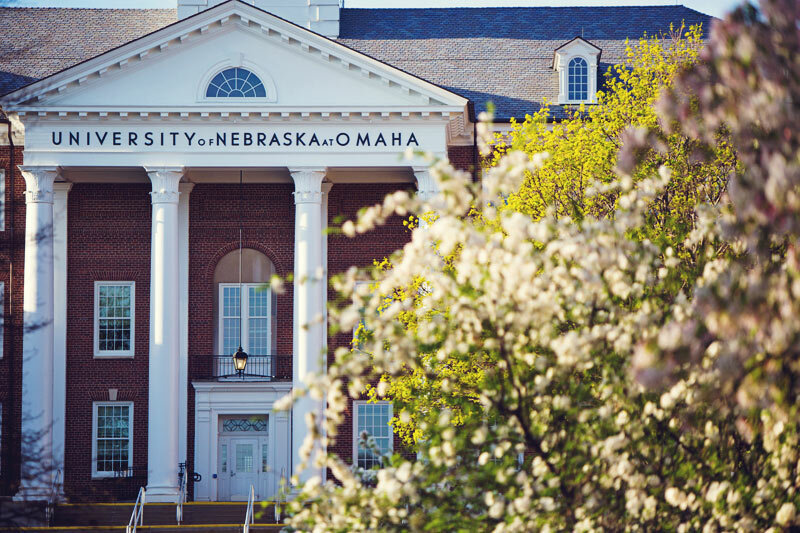 The University of Nebraska at Omaha (UNO) is a premier metropolitan university that combines the resources of a doctoral research institution with the opportunities the thriving community of Omaha provides. With global reach and vision, UNO is large enough to provide opportunities students seek, yet small enough to provide the mentorship they need to achieve academic excellence, creativity, and engaged learning at competitive tuition rates. UNO is committed to and engaged with the city surrounding it, allowing students unique hands-on opportunities, internships, service learning, applied research, and other collaborative activities that enhance time in the classroom. This is the “O” we want you to know—forward-thinking, student-centered, and devoted to the city we call home. UNO’s six colleges are dedicated to providing rigorous undergraduate and graduate academic programs taught by faculty who are national and international experts in their fields. All of UNO’s colleges offer unique opportunities in research and hands-on experiences that are critical to gaining an edge in a competitive global marketplace. The iconic Arts & Sciences Hall, the first building on campus. Tuition and fees are among the lowest of Nebraska’s four-year institutions, according to U.S. News & World Report in 2017. Most affordable metropolitan university among peer institutions across the country. The Metropolitan Advantage Program (MAP) provides tuition and fee pricing for residents of 11 Western Iowa counties that are lower than or competitive with four-year institutions in Iowa. 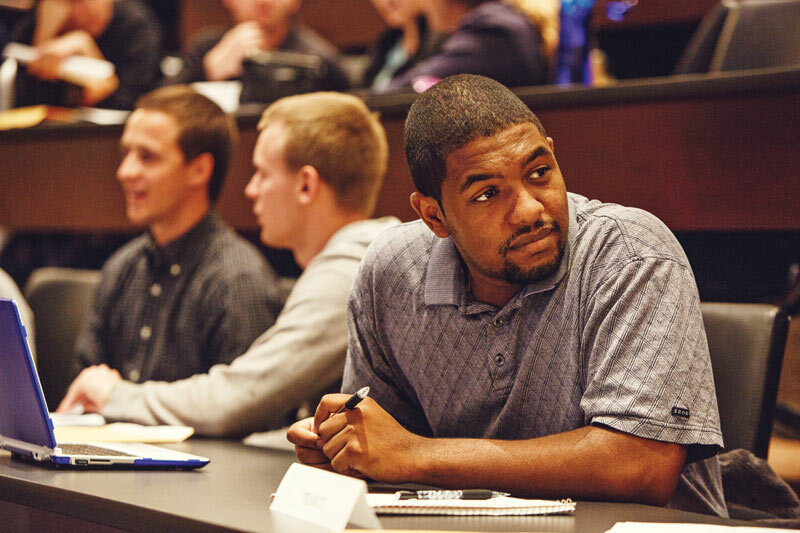 Students collaborate at the College of Business Administration Case Study Competition. 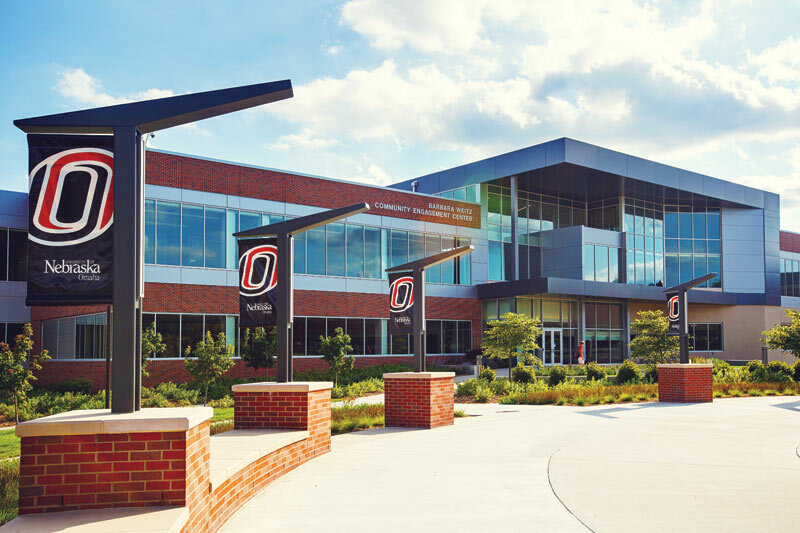 The Barbara Weitz Community Engagement Center (CEC), the first facility of its kind in the United States, opened in April 2014 to partner UNO resources with community needs. The CEC is a unique space that serves to strengthen UNO’s existing outreach efforts and foster future opportunities for partnerships between UNO students, faculty, staff, and nonprofit or governmental organizations. Since its launch, the CEC has hosted more than 19,000 community and campus events and welcomed more than 275,000 visitors. The facility is home to more than 30 nonprofit, government, and UNO partner organizations that thrive in a collaborative environment. For 109 years, UNO has been dedicated to engagement and education within the Omaha metropolitan community. The CEC adds a new venue from which our metropolitan university tradition can continue. The CEC is home to 30+ university and community-based nonprofit partners. From our world-class biomechanics research facility, to our nationally recognized community engagement center, we’re building unique, technology-centered spaces so our students and faculty are prepared to teach and compete in the global market. Our modern residence halls provide a safe, comfortable, environment for students, and Baxter Arena has given our Division I athletes the home they deserve. More than $470 million has been invested in UNO facilities in the last 10 years. 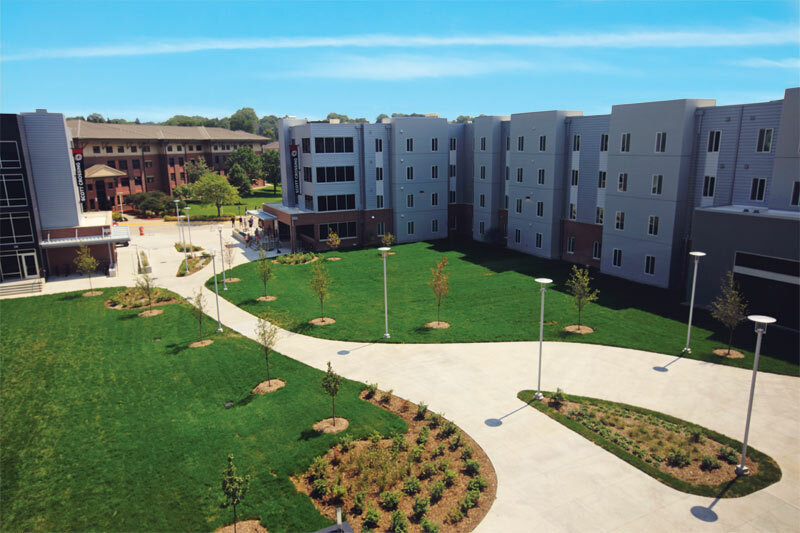 Scott Crossing Residence Hall opened in August 2017. UNO is proud to have the most diverse collegiate student body in the region. 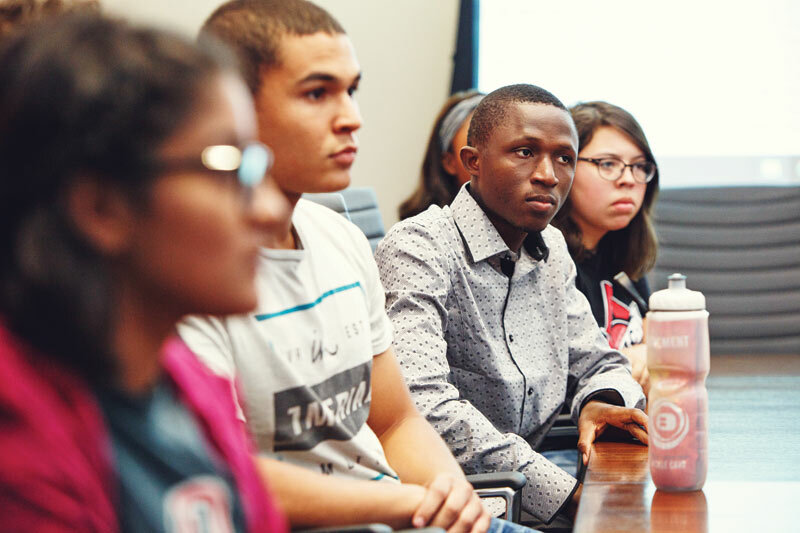 Over half of all students of color in the University of Nebraska system attend UNO. That is our role in our city, state, and region: to serve as a point of access for excellence in higher education. All learners who have done the hard work of preparation are welcome, no matter age, race, ethnicity, socio-economic status, or country of origin. 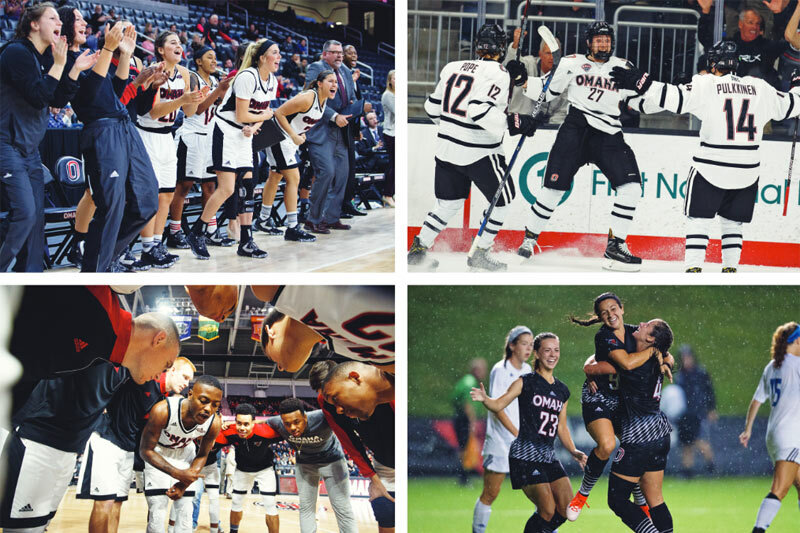 UNO’s student-athletes are successfully competing at the highest level in collegiate sports in Division I athletics, holding membership in two athletic conferences: the National Collegiate Hockey Conference and the Summit League. The 7,500-seat Baxter Arena opened on campus in October 2015. The arena houses men’s hockey, men’s and women’s basketball, women’s volleyball, and numerous community events. Seven hundred fifty free student seats are available for all athletic events at Baxter Arena. UNO’s soccer pitch (field added in 2014) received the prestigious FIFA recommended 2-star certification, the highest synthetic turf rating from FIFA, making it the highest rated collegiate pitch in the country. “Loud and Proud Best Student Section of the Year” Champion, National Collegiate Student Section Association, 2017. UNO conducts globally relevant research that reflects its metropolitan university mission. The Carnegie Foundation has classified UNO as a Doctoral Research University: Moderate Research Activity for our specialized doctoral programs and comprehensive range of master’s degrees and certificates. In fall 2014, UNO was designated as home for the first Center for Research in Human Movement Variability thanks to a $10.1 million research grant from the National Institutes of Health. This is the largest research grant in UNO history. An addition to the building is currently under development. UNO receives millions of research dollars from national funding agencies including the U.S. Department of Defense, National Science Foundation, National Institutes of Health, and NASA. The Office of Research and Creative Activity (ORCA) is dedicated to supporting faculty and student scholarly activity. Over 220 undergraduate and graduate students representing all UNO colleges and the UNL College of Engineering presented projects at the 10th Annual Research and Creative Activity Fair. UNO biomechanics students work alongside research lab engineers. Each year alumni, friends, and the Omaha community generously support UNO’s students, faculty, and programs through private gifts. Most recently, donors committed unprecedented annual support for UNO. These funds created scholarships, supported faculty, and elevated the UNO student experience. Figures provided by the University of Nebraska Foundation. UNO is dedicated to serving those who served our country. 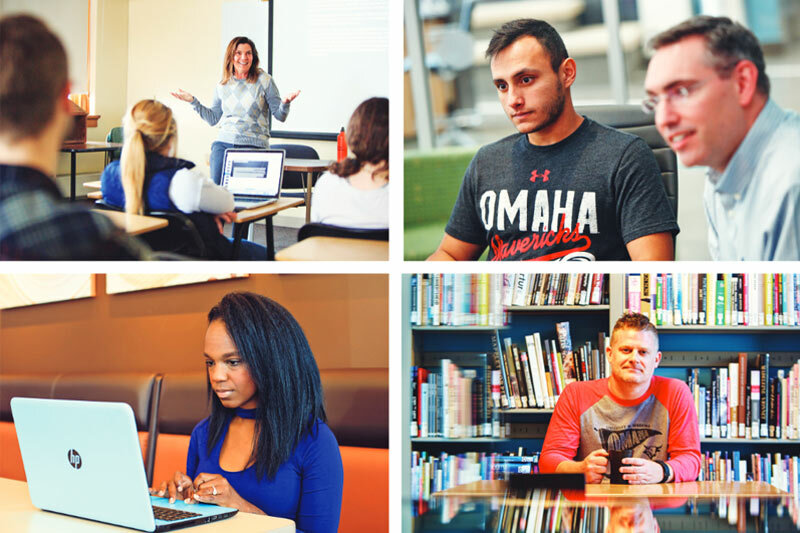 The Office of Military and Veteran Services works to support UNO’s military-affiliated community by providing active duty, guard and reserve, veterans, and their families with resources and services developed to help them succeed—whether it’s on campus, online, or overseas. 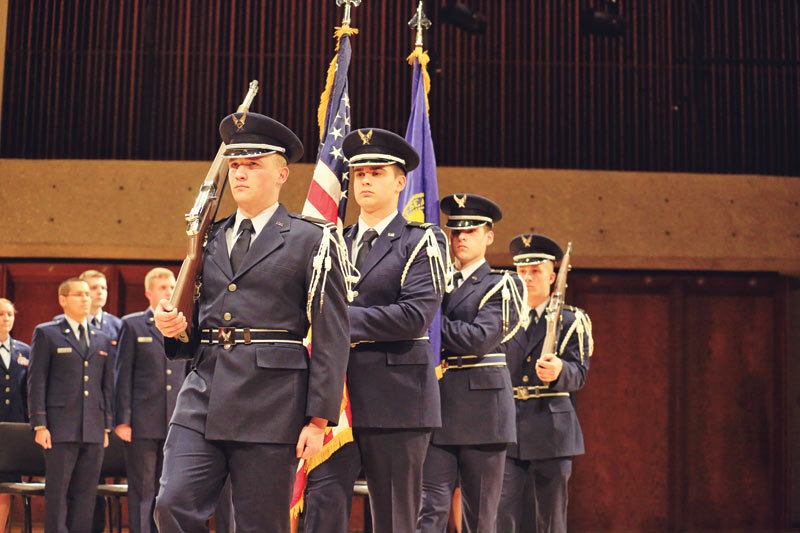 UNO has a long tradition of focusing on military-affiliated students, from having one of the oldest Air Force Reserve Officer Trainings Corps detachments in the country to our involvement in the Bootstrapper program in the 1950s. Today, continue to build partnerships with local employers to make sure we can help for our veterans find good jobs when they graduate. Listed on the Military Friendly Schools list since 2014: which identifies the top 30% of schools nationwide that deliver what they consider to be the best experience for military students. 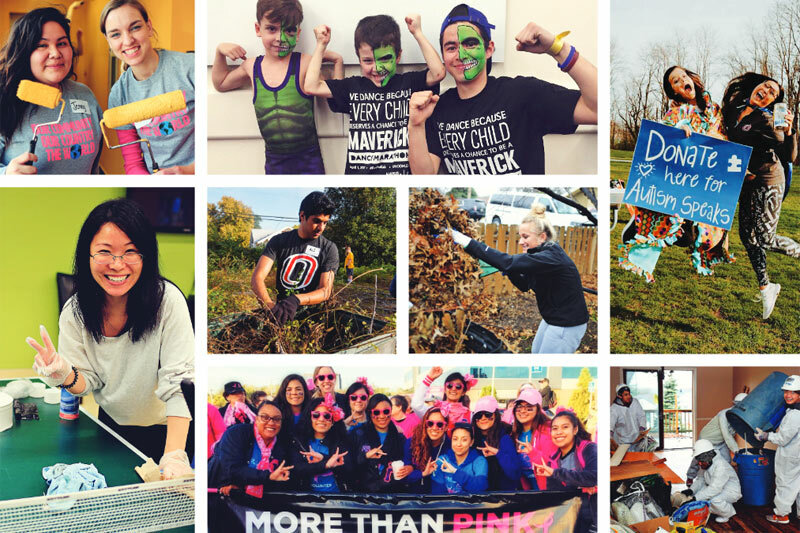 As a premier metropolitan university, UNO is a national leader in community service and engagement. UNO has achieved the prestigious elective classification for Community Engagement by the Carnegie Foundation for excellence, in collaboration with the Omaha metro area. This classification places UNO among the top universities in the nation for service learning, community service, and civic engagement initiatives. UNO has been named to the President’s Higher Education Honor Roll every year since 2005. In 2014, UNO received the national Economic Opportunity award from the President’s Higher Education Honor Roll. More than 800 colleges and universities applied, and it’s the highest honor a university or college can receive by the U.S. government for its commitment to volunteering, service learning, and civic engagement. 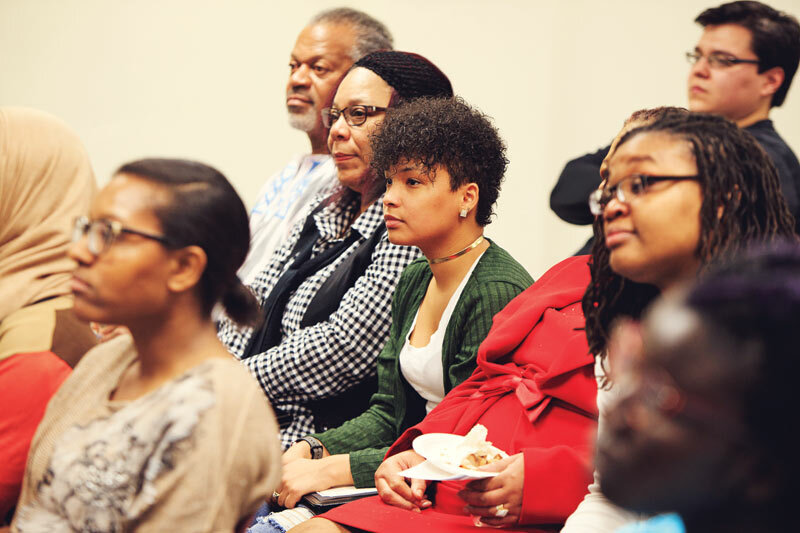 In 2015, UNO hosted the Coalition of Urban and Metropolitan Universities (CUMU) conference. CUMU was founded with the purpose of bringing together leaders and scholars of urban and metropolitan universities to share, discuss, and debate important issues facing this unique institution type and the cities they serve. The conference hosted representatives from 32 U.S. states and three Canadian providences and featured speakers from 50 different institutions. UNO hosted the 2016 Engagement Scholarship Consortium (ESC) conference. ESC’s goal is to work collaboratively to build strong university-community partnerships anchored in the rigor of scholarship, and designed to help build community capacity. 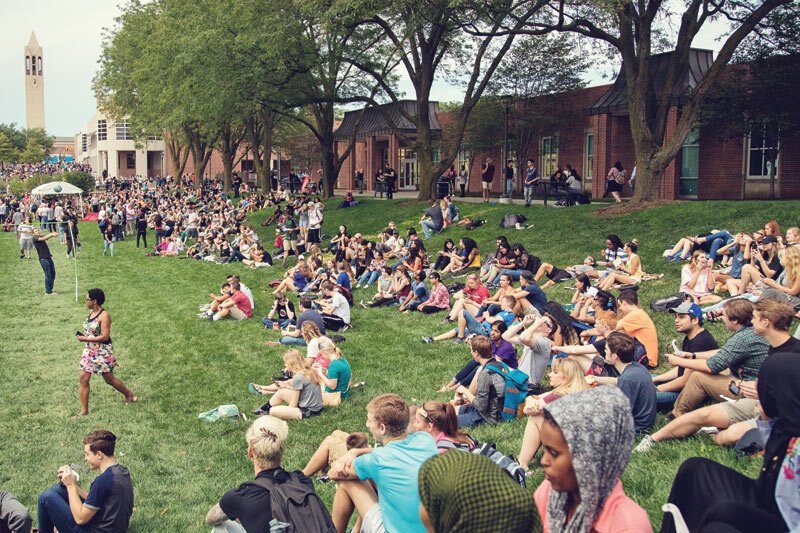 Attendance of approximately 500 faculty, staff, and students from around the world, representing more than 80 community-engaged universities and more than 20 community partner groups. Students and community members volunteer during UNO service days. The city itself has truly become a part of the UNO campus. With a population of more than 1.2 million people within a 50-mile radius, UNO both offers and receives unlimited opportunities for collaboration. The shared goal of Omaha and UNO has always been to empower students and residents through access to education and shared resources, while enriching the global community. Our dynamic and rewarding partnership will no doubt flourish and grow for another 100 years. A "Metropolitan University," defined in its simplest terms, is an institution that accepts all of higher education’s traditional values in teaching, research, and service, but takes upon itself the additional responsibility of providing engaged leadership within the metropolitan region by using its human and financial resources as partners to improve the region’s quality of life. Adapted from Paige E. Mulhollan's “Aligning Missions with Public Expectations: The Case of the Metropolitan Universities” Metropolitan Universities: An Emerging Model in American Higher Education, 1995. The Bob Kerrey Pedestrian Bridge, located in downtown Omaha, connects Nebraska and Iowa. UNO students learn from distinguished faculty drawn from the world’s leading universities. Faculty are fully invested in students and their success, providing a personalized higher education experience. 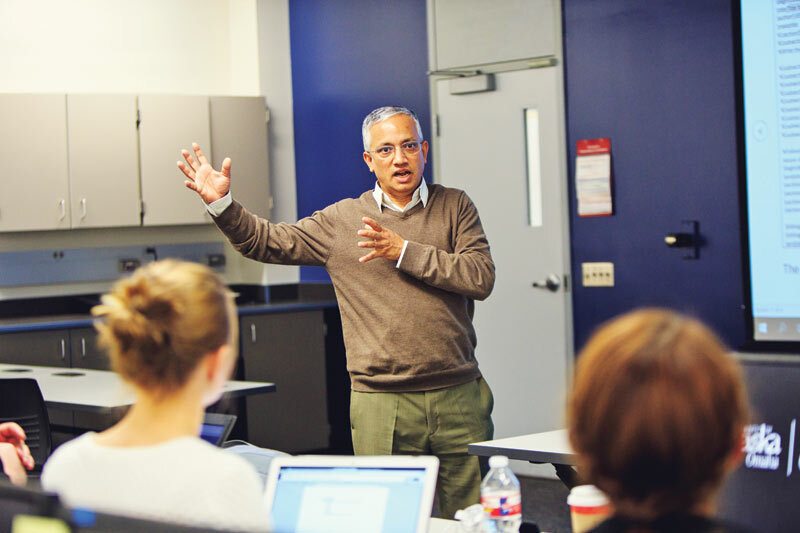 Dr. Kiran Bastola, an Associate Professor of Biomedical Informatics, teaches a class at the Peter Kiewit Institute. Omaha is more than simply our location; the city truly functions as part of the UNO campus. UNO and Omaha enjoy a dynamic, fruitful, long-term partnership with a shared goal: changing the lives of students and residents while enriching the global community. 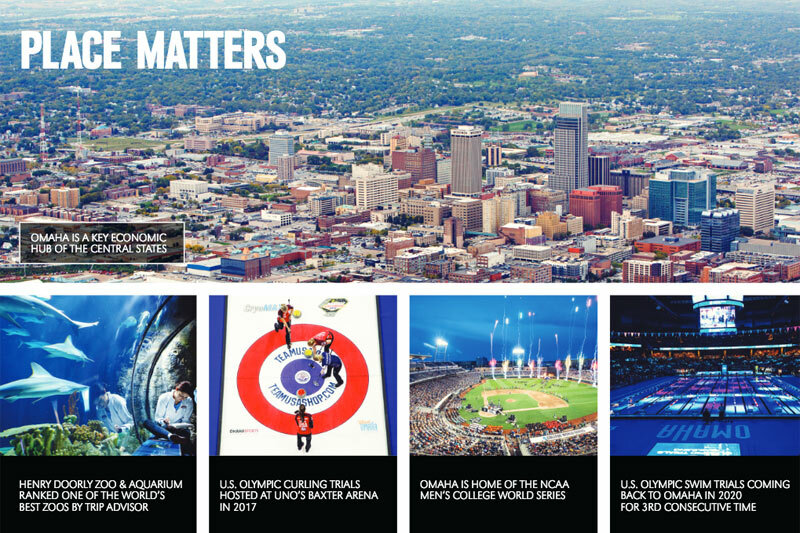 Omahans love this city, and others outside of our region are recognizing Omaha's appeal. 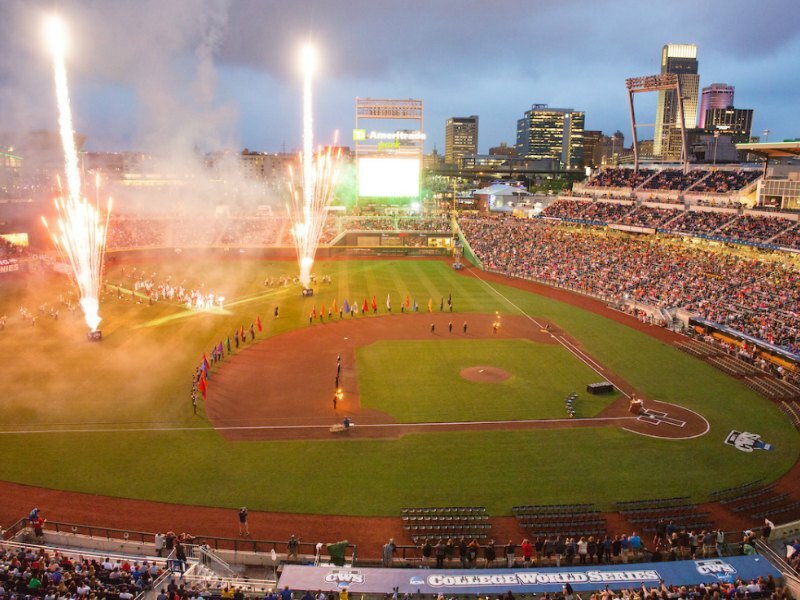 Take a look at Omaha's latest rankings. UNO has tailored classes to be accessible in a variety of ways. Our goal is to offer excellence through flexibility to meet the various needs of students. UNO has grown to include three campuses. Students find a comprehensive array of programs and classes offered in the traditional weekday time frame, as well as in the evenings and on weekends. Key partnerships and agreements have been established between UNO and regional community colleges, so students can work toward their bachelor’s degree without starting over. 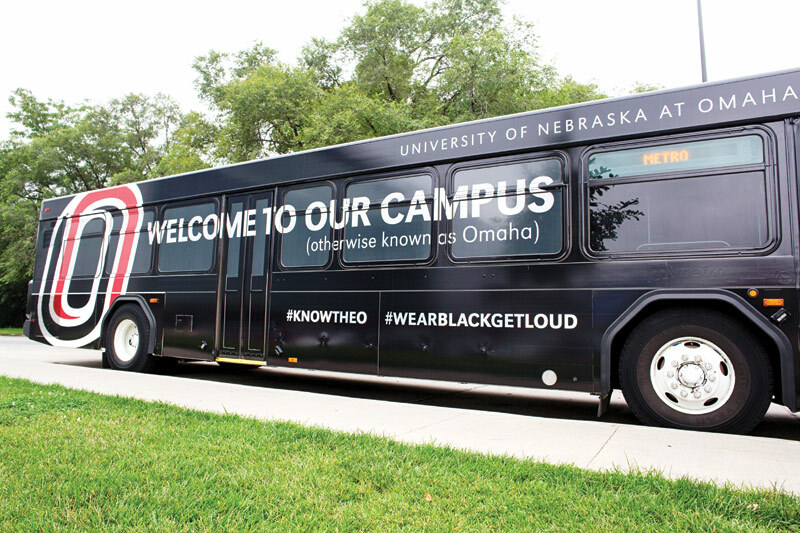 UNO offers hybrids of on-campus and online classes for students who are unable to come to campus to complete their entire class schedule. For those who seek a degree online, UNO offers nationally recognized bachelor’s and master’s degrees in a variety of fields. Adult learners wanting to advance their careers by completing a bachelor’s or master’s program can earn their degree or professional certification on campus and online. Bachelor of Multidisciplinary Studies (formerly named Bachelor of General Studies) ranked in the Top 25 for Best Online Bachelor's Degree. (U.S. News & World Report, 2017). Dedicated to serving UNO and its alumni, the UNO Alumni Association will celebrate its 105th anniversary in 2018. 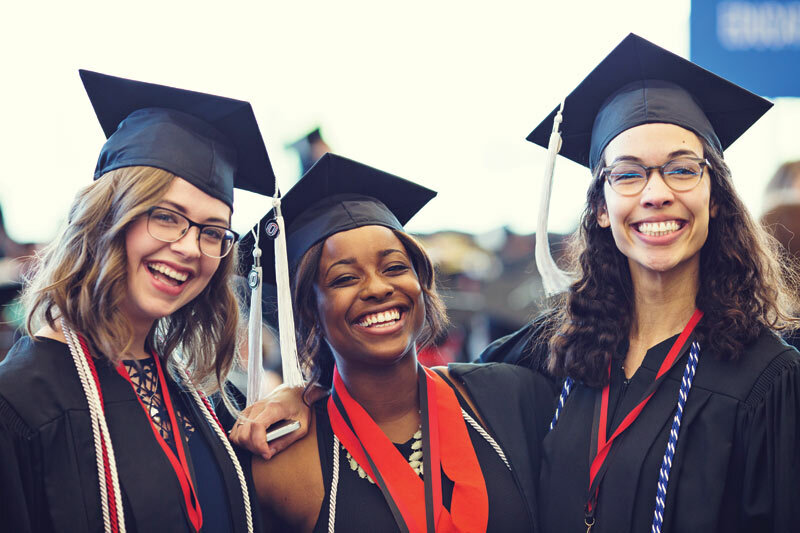 Every UNO student automatically becomes a member of the UNO Alumni Association upon graduating from the university. Alumni can take part in the award-winning Young Alumni Academy to stay connected to UNO soon after graduating. The worldwide UNO Alumni network includes more than 107,000 living graduates, including a former U.S. Secretary of Defense, American Ambassadors, CEOs of major companies, teachers, police officers, social workers, service members, accountants, artists, scientists, engineers, and thousands of others striving to make our world a better place. The network of UNO alumni is worldwide.Once a Maverick, always a Maverick. Once a Maverick, always a Maverick. Largest incoming undergraduate class three years in a row. 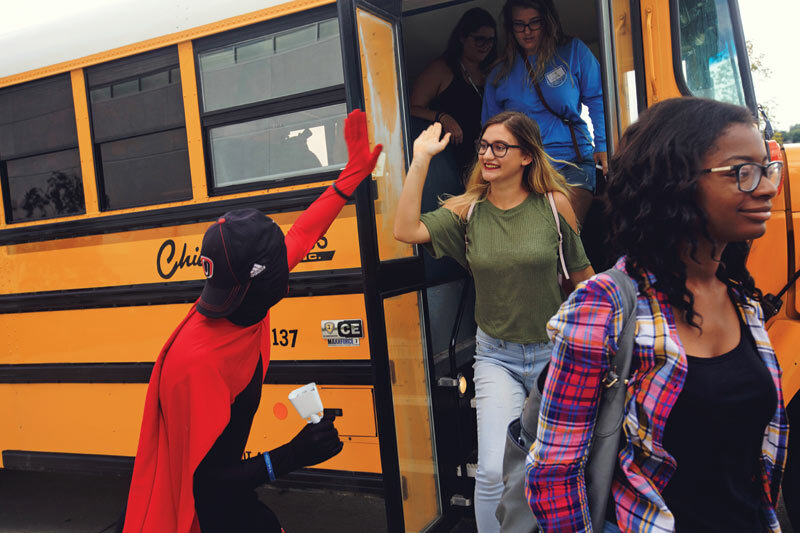 UNO has specifically designed programs and services to support students academically, socially, and physically to enhance time in and out of the classroom. The Office of Multicultural Affairs and the Department of Black Studies celebrate the graduation of students who recognize their African roots at the "Donning of the Kente" ceremony. Where does momentum begin? For us, it was the determination to tell our story—and once we started telling our story, people started to see the successes UNO students have achieved. And that success is inspiring. It inspires our faculty to find new and creative ways to teach our students. It allows our students to remain independent thinkers who will find unlimited opportunities before them. The Maverick Monument sculpture (shown right), was a gift from the Alumni Association on the occasion of their 100th anniversary, and stands in front of the Health and Kinesiology Building. 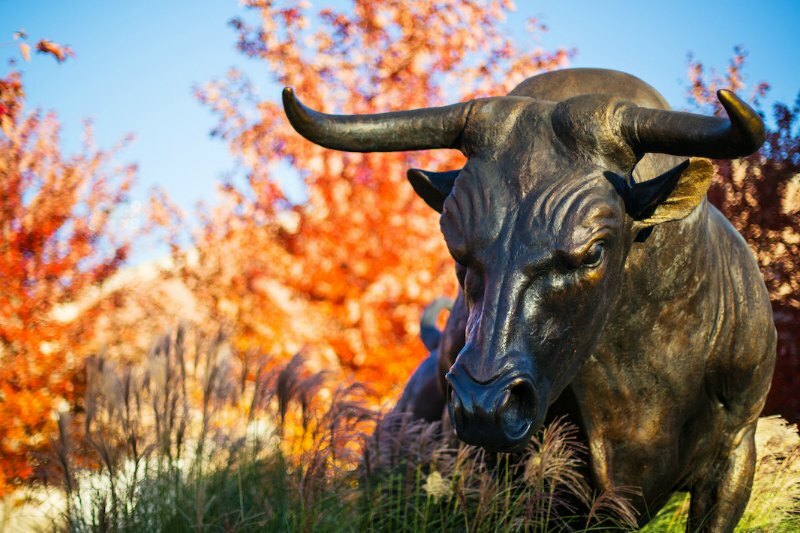 This eight-foot-high bronze bull statue doesn’t just represent the university’s mascot—it symbolizes the determination, pride, and success of our students, graduates, and the community. Go Mavs! The Maverick Monument, located in front of the H&K building. 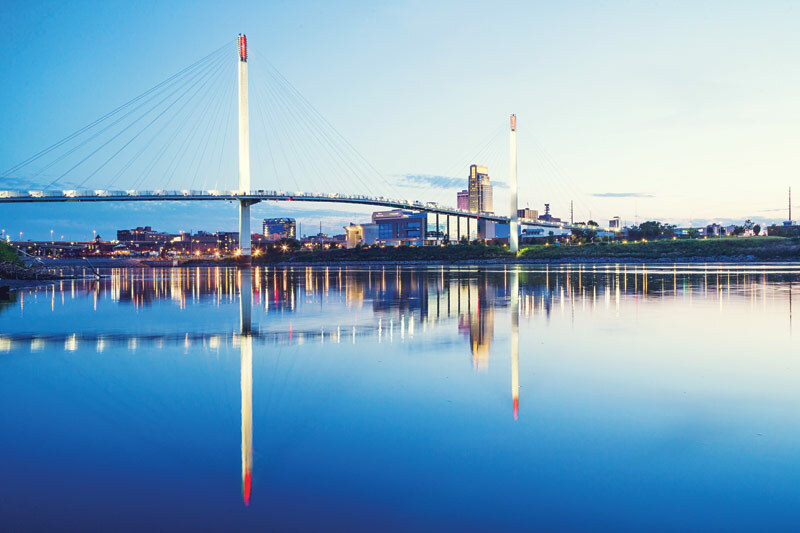 UNO is located in the heart of Omaha, Nebraska, its roads winding through city parks and thriving neighborhoods, creating an extraordinary connection that few universities have achieved.